©2012 The Golden Light Channel. All rights reserved. You may copy and distribute this material as long as you include this credit, do not alter it in any way, and provide a link back to www.thegoldenlightchannel.com at the top of the post. Greetings from the Council of Angels and Pleiadian Council of Light. Also joining us at this time (the channel is now feeling a blast of energy voltage! ), are the Archangel Michael and Ascended Master St. Germaine, who are two of the many overseers of the Ascension, the Golden Age occurring for your New Earth. Early this morning the council spoke of the changes occurring outside of you. We now wish to speak of some of the inner changes occurring within each of you at this time. As mentioned in the earlier channeling, your DNA is now being “upgraded” so to speak, with all 12 strands coming into activation, slowly but surely. They awaken slowly so that your circuits are not overloaded. Upon awakening of this DNA, and the full activation, you will begin to be able to use the higher dimensional abilities of telepathy (communicating with others via your mind), teletransportation (transporting your being with your mind), telekenesis (moving objects with your mind), the visiting and awareness of alternate and parallel realities, clairsentience, clairaudience, empathy, and more. These will begin to be awakened slowly and upon the coalescence and inauguration of the New Earth, and all will come together to create guidelines so that these abilities are used in the highest manner possible. For without proper use, these could be like a child playing with fire and could cause disruption and unwanted results. We will be there of course to guide you, along with many star beings and intergalactic beings, with whom many are opening to telepathic communication at this time. Those who are “channeling” information, and this that you are reading is in that category, these people are simply transcribing the telepathic messages that we are sending. Their systems are set up to be conduits of information from our realms, and many have pre-birth contracts to do so; this is part of their life’s purpose here at this time. As more humans on earth awaken these abilities, there are more and more “channels” bringing in messages from the higher dimensions and from our realms. You are beginning to attune yourselves to the higher dimensions and higher frequencies, you see. All in our realm are overflowing with joy as you all begin to awaken, to sense our presence, to feel our love, and to open yourselves to our communications. We have coined a new term with this channel Goldenlight and that is a “star channel”; you have starseeds, indigo children, lightworkers, and the star channels which are all waking up all over the globe. All star channels have pre-birth agreements to bring in communications from the higher dimensional realms during this time of great awakening and attuning to the higher dimensions. All were briefed of this time of ascension before their lives on earth. They are now beginning to awaken, and are awakened, to their true purpose. There are many, you see, for we knew that without these star channels, we would have a difficult time communicating with you during this grand event that is ocurring throughout your universe. We say throughout your universe because not only is the earth increasing in frequency, but the entire universe that you exist in (for there are many universes) is going through a cosmic upgrade, and earth is part of this upgrade. This upshifting of frequencies and dimensions in your realm is bringing in an influx of energies which are grounding in your mother earth’s (gaia’s) crystalline grid. This “domino” effect then triggers changes in the human form. Many on earth are not aware of the strange feelings that they are having or feeling, we say strange only because that is how they are labeling them since they do not understand them. As with all else, awareness is the key that brings the truth into all beings. Many at this time are awakening to their true origins, for example this channel that we are speaking through only recently found out that her soul was “birthed” in the angelic realms and sojourned to the Pleiades for many lifetimes, with only one or two lifetimes on earth in ancient lemuria/atlantis times and ancient egyptian times. Both of these civilizations had beings that existed in the higher dimensions and brought this higher dimensional technology and “being-ness” to earth at that time. So yes many are now awakening to their true origins. Of course all originate from Source, who in the beginning of the beginning decided to individuate to know more of Itself. So we are all Source knowing Source. We are all born of the Source, all connected to the source whether we are “aware” of it or not, and all on a sojourn to reflect more of the higher ideals of Source. See, we are all together in this within the field of love. We of the higher dimensions are now lovingly assisting you with each phase of this great endeavor taking place now within your realms. Meditation, awareness, and tuning into your Higher Self are all key to your awakening and awareness at this time. To connect with your Higher Self, simply go into a quiet meditative state, and say “I connect with my higher self, please connect with me.” You may find several energy rituals and techniques that will connect you strongly with your higher self and source. The channel that we speak through, for example, found her connection with the higher dimensions, higher self, and council of angels, through a series of energy sessions with trusted and loving guides, and this helped her to download our template for communication. You too, will find your way. Trust your intuition, rely on your own higher guidance, and connect in with your higher self. Do all which resonates with you and places you in a higher vibration. You can ask to connect with any of us at any time: any of the Ascended Masters (much info can be found elsewhere on this), any of the Archangels, your guides, your higher self, and when you discover your origin planet you can connect with your councils there as there are codes embedded within you that when awoken will help you to communicate with them. This channel has ties with the Pleiadian council and Angelic realms and is also able to be a receiver and transmitter for other higher dimensional beings of the light as she has pre-birth agreements in place to be a receiver and transmitter of information from the higher frequencies and dimensions. We wish you the greatest possible connection with your Higher Self, your Guides, and your true origins. May you find your light and may it shine brightly during this inception of the new Golden Age upon Earth where we will all live in harmony. Your Mother Earth, Gaia, sends you her love as well, and extends her gratitude to you for assisting in co-creating this new reality with all the higher dimensional beings. She sings her song of great joy and gratitude for the many that join her in this endeavor. For now we leave you with waves of light and many moments of peace. Love and light to your Spirit from Ours. Thank you Council of Angels, Pleiadian Council, Archangel Michael, and Ascended Master St. Germaine. The Channel recently began receiving telepathic or “channeled” messages from the Angelic Realm via her Council of Angels, as well as from the Pleiadian Realm via the Pleiadian Council. This started occurring after a series of spiritual enlightenments and a reconnection to the Angelic and Pleiadian realm, during which time Goldenlight discovered her true soul purpose or soul mission to assist Earth during this time of great transition. She discovered that she is a “star channel” – one whose essence and mission on earth is to to be a receiver and transmitter of communications from higher dimensions and other galaxies. 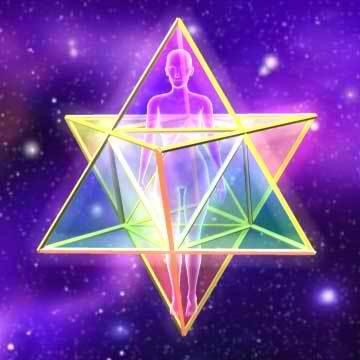 Goldenlight made an agreement before coming to Earth in this lifetime to assist humanity with ascension into the higher frequencies by bringing in messages of light from the Angelic, Pleiadian, and higher dimensional realms.